Embroidery (cì xiù 刺绣), a folk art with a history of more than 3000 years, has an important position in the history of Chinese arts and crafts. On a piece of silk or cloth, people embroider all kinds of beautiful pictures and patterns with threads of silk, wool or cotton. 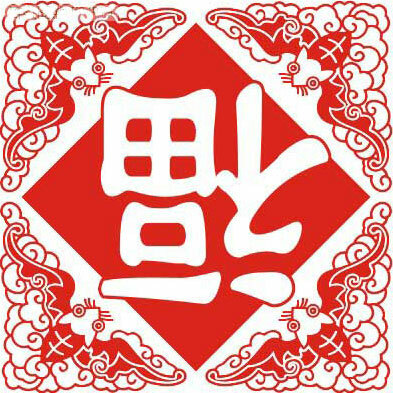 Among various kinds of embroidery, the best products come from four provinces: Jiangsu (jiāng sū 江苏), Hunan (hú nán 湖南), Guangdong (guǎng dōng 广东) and Sichuan (sì chuān 四川). 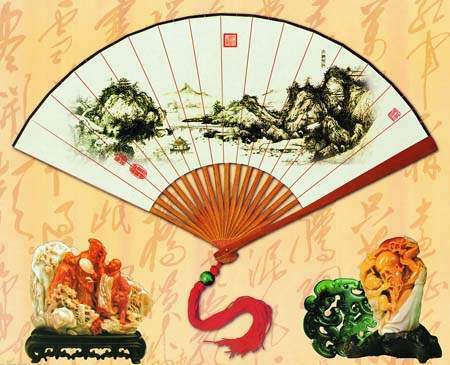 It is acknowledged by the world that jade carving (yù diāo 玉雕) is one of the oldest carving arts in China. Crude jade tools appeared in China as early as in the late Neolithic Age (xīn shí qì shí dài 新石器时代). And in the primitive society, our ancestries began to make manufacturing jade tools such as knife, shovel, ax and lance and the jade ornaments. Jade carving became an industry in the Shang (shāng 商) (16th century BC- 11th century BC) and Zhou (zhōu 周) (11th BC- 221 BC) dynasties, when skills of jade carving had a further development. Jade wares were used in rituals or as decorative pendants. The jade carving wares were delicate and the ornamental patterns were elegant. 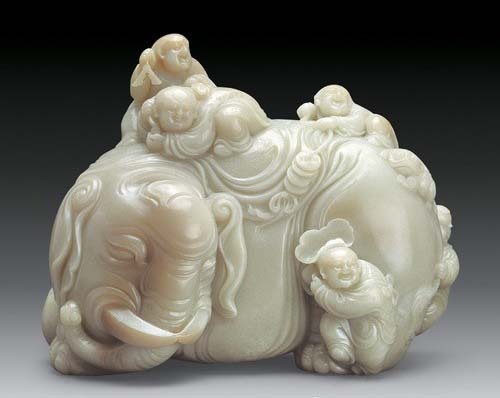 In ancient China, jade was also regarded as a symbol of refinement and moral ethics. Porcelain (cí qì 瓷器) derives its present name from old Italian porcellana because of its resemblance to the translucent surface of the shell. 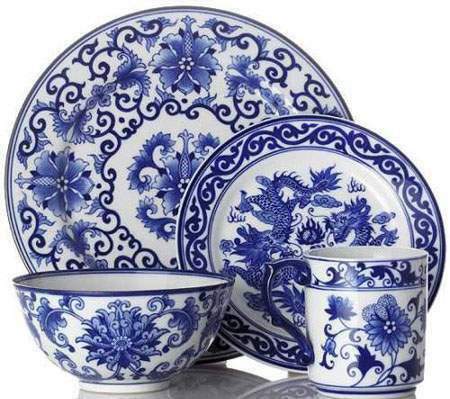 Porcelain can informally be referred to as "china" in some English-speaking countries, as China was the birth place of porcelain making. 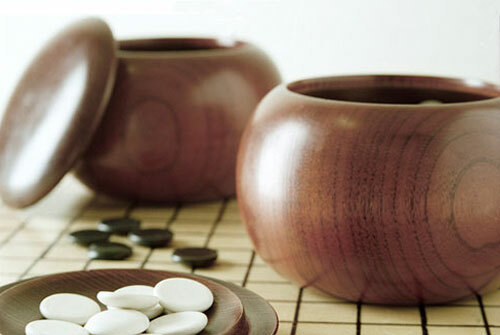 Porcelain was developed on the basis of pottery. If calculated from the appearance of the primitive porcelain in the Shang Dynasty (shāng cháo 商朝), it has a history of about 3000 years. Properties associated with porcelain include low permeability and elasticity; considerable strength, hardness, glassiness, brittleness, whiteness, translucence, and resonance; and a high resistance to chemical attack and thermal shock.